July 17th was Diagnosis Day. Four years ago on this day we were in Salt Lake City at the Western Leukodystrophy Clinic. We had an appointment with a neurologist who had more knowledge of Leukodystrophy then the Neurologists in Las Vegas. I have wrote about this before so I won't repeat myself, but this was the day we were told that Hailey had Leukodystrophy. He couldn't tell us which specific type Hailey had, but from reading all of the past years MRIs he was certain this was what Hailey had. Fast forward 4 years later to today and we are only a tiny bit closer, we may even have a specified type of leukodystrophy now. We wanted to verify with a neurologist if Hailey did in fact have ADEM Leukodystrophy. This type of leuko checks a lot of boxes for Hailey, but not every single box. We have yet to speak to or find a neurologist that specializes in Leukodystrophy look at Hailey and review her blood tests and MRIs. We have had 3 out of 9 "guess" that if Hailey had a Leukodystrophy it'd be ADEM which is: Acute Disseminated Encephalomyelitis. 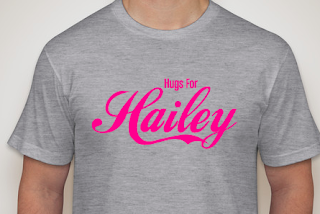 We have also done many genetic tests and have only come upon mutated genes for Hailey. There were a total of 4 that we were told about. One that is VERY similar to leukodystrophy but we have not been told if definitively. It's confusing because when the neurologist look at Hailey's MRIs they know she does have leukodystrophy, but since there are SO many different types and so many new and undiscovered leukodystrophies we are left in the dark. In the end I guess it isn't SO important that we know, but I would like to know what else to expect. When Hailey needed a pacemaker was it because of the leukodystrophy? I don't know of any other Leuko children that have a pacemaker, but we do know that children with leukodystrophy do have issues with their organs since the brain controls everything. Hailey's cardiologist would love to know more about what had caused Hailey to need a pacemaker and she asks us overtime we see her if we have any new information. So can I or should I go with ADEM Leukodystrophy as a diagnosis? Is there a test that can be done to tell us if that is the type she has? Is there a neurologist that will help us? We don't know. We still don't have answers, but every July 17th these questions really stand out to me and I wish I had answers. The 2016 Hunter's Hope Family Symposium is right around the corner! At the end of July we will take Hailey to Buffalo so that we can spend time with other families who have been affected with Leukodystrophy. The time that we spend at the symposium is so incredibly precious to us. The very first time we attended I came back so refreshed and re-energied. I wrote about my experience HERE and I urge you to read through it. It's really the only way I can express how much we loved being a part of this extended family we have found. It's difficult to explain the feeling of inclusion, a place where there is no judgment when you have questions that you are afraid to ask, or feelings you aren't comfortable sharing with friends and immediate family. At the symposium these families KNOW what everyone is going through, what you have been through, and what you will go through. Last year I was in a panic because I was on a plane with my family and I noticed that I forgot Hailey's adapter for her g-tube, a necessary part of how we give her food and medication. I was going to be 4,000 miles away from a very important piece of medical equipment. I didn't want to post on my personal Facebook page because I worried about people thinking, "wow, she's a terrible mom forgetting something so important that her child needs!" So I asked my Leukodystrophy family if anyone had an extra adapter I could have and I got TONS of replies telling me they could help, and to not feel bad. If I was going anywhere else I'd be in big trouble, but going to the symposium I was covered and not judged. 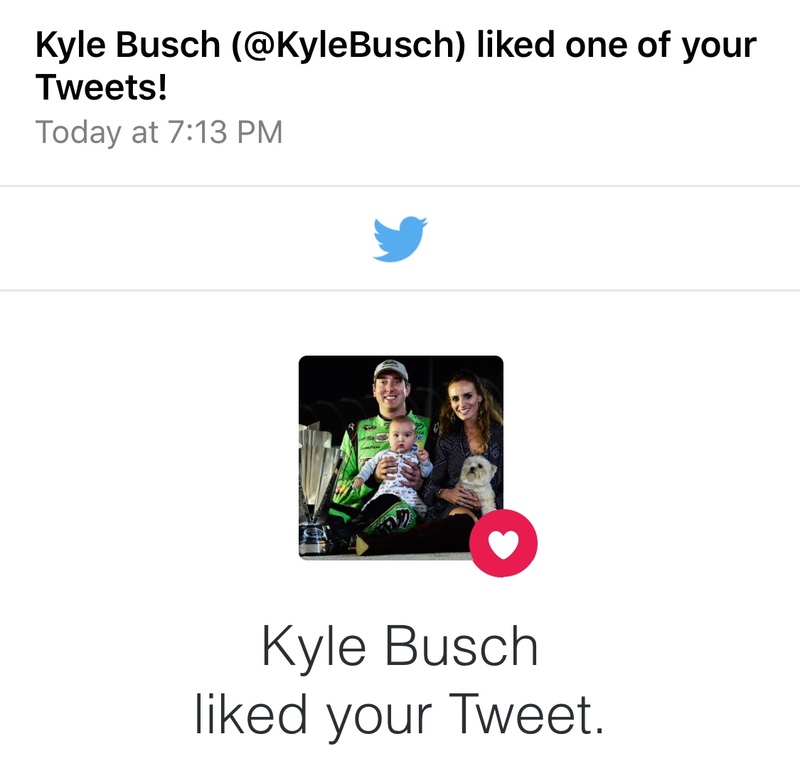 I was still embarrassed, but I was so happy it all worked out. Going to they symposium is something I feel we need to do. We need to be there, but it is so incredible expensive. The average cost for a family of 4 is $5,000. For families in attendance, meals and accommodations are paid for by Hunter's Hope. Travel arrangements to and from the event are the responsibility of the family but travel assistance is available for qualified families unable to cover these expenses. Donations made to Hunter's Hope help with these costs along with people who are willing to sponsor families. Any amount is welcome and appreciated. I wanted to post a few photos from past symposiums that we have attended. These families and these children are so loved. Some children that were there the year before aren't there the next. Leukodystrophy takes the lives of these children, but we remember the times we held them, and kissed on them, and loved on them. I had said before that Hailey does not see disease or disability in any of these children. She goes up and talks to them, hugs on them, holds their hand, rubs their cheeks, she LOVES all these amazing children and their families. One thing I did notice is that Hailey also changes her voice to be softer and more gentle when she speaks to them. It's adorable! Hailey loves to mingle and she is such a social butterfly. She introduces herself to every single person and sometimes even joins them for meals instead of sitting with mom and dad. She has always been welcomed and I have never felt as if she was in the way. She gets to attend Kids Camp while mom and dad are at the symposium part and she LOVES it. They have activities planned for all the kids and if she needs help there is always someone by her side. 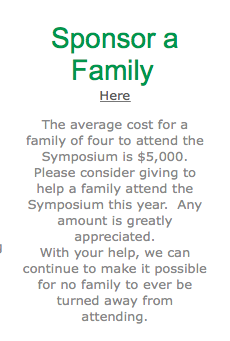 There are many ways you can help us attend the 2016 family symposium. We have set up a Team Hugs for Hailey page for the Every Step walk we will participate in while at the symposium. You can click this LINK to be taken to our page! ANY amount is appreciated, and you will know and see what your donation did for us. Our goal is at least $2,000 and I HOPE we can meet that goal. 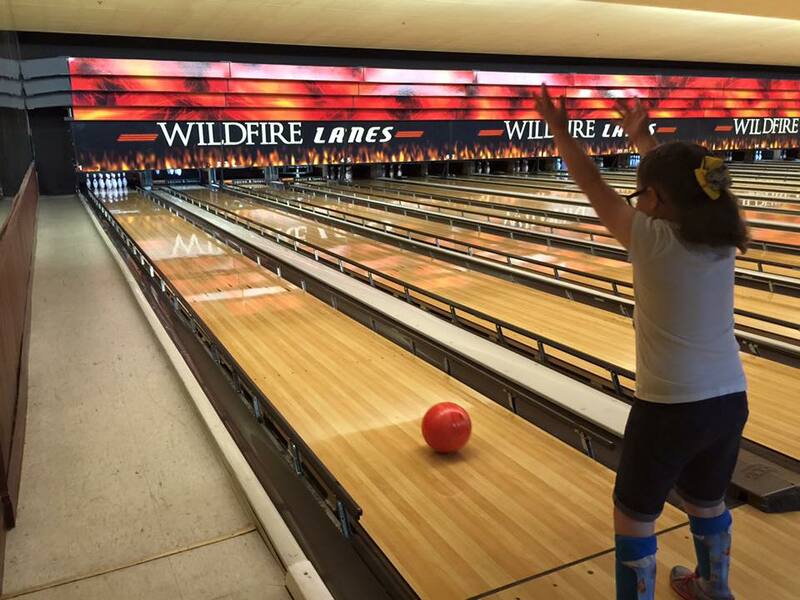 We are counting down the days until we see our Leukodystrophy family again and Hailey is ready to give out some hugs! Can you believe it has already been a year that Hailey has had her Pacemaker?? The whole thing is very surreal to me. I still find it hard to believe that my 7 year old has a pacemaker. 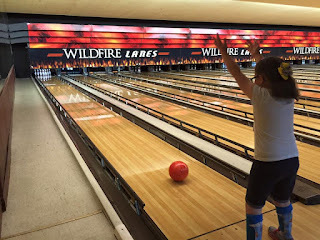 In reality everything about Hailey is surreal, the leukodystrophy, the g-tube, our story in general, but we try to always focus on the good and celebrate when we can. Even if it's something small. When we asked Hailey how we should celebrate this big milestone. I think I could have guessed what she would say. She wanted to go to her happy place. Disneyland!! So we did! As soon as we got there I had the idea to turn Hailey's Mickey Ears around so that people could see her name. 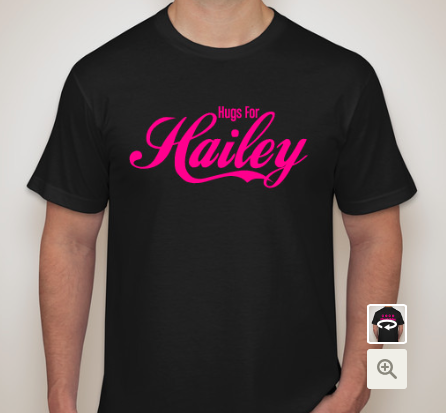 Every single person addressed Hailey by her name and she was in awe that everyone KNEW who she was! (Her name anyhow) It was magic! She said, "all my friends her remember me!!" When you find Peter and he tells us that we should go to Pixie Hollow cause the fairy's are waiting for us you go! Roger Rabbit was there for the Annual Passholders to get to see. Hailey didn't know who he was at first but soon became a fan. When she introduced me and her dad, Roger went wild when she said, "this is my mom Jessica!" it was really cute! The highlight of the trip was getting to watch the Pixar Parade. 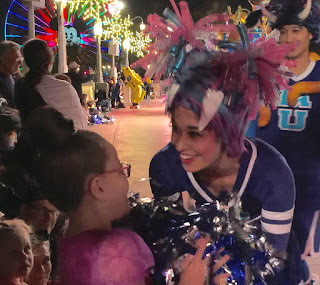 Magically a lot of the characters in the parade were made aware that Hailey would be in the crowd and where she would be. Hailey got a few extra kisses blown her way and some high fives as well. It was such a fun experience for Hailey. She was so giddy with excitement and I love that she was so happy. Our favorite characters were the Incredibles. We love those guys so much!! You can't go to Disneyland without stopping by the Character Close Up with Anna and Elsa and NOT get a group hug! Hailey loves these guys! 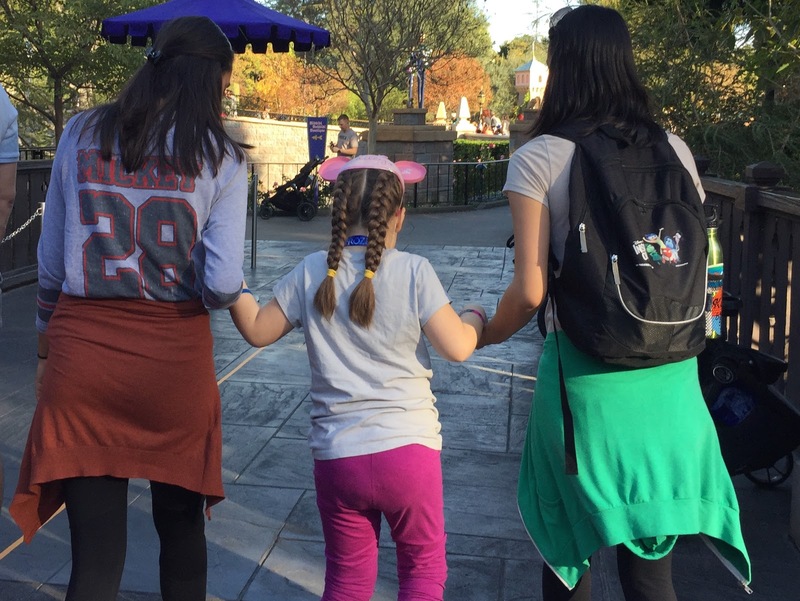 We were so lucky that Hailey found her friend Kaylee at Disneyland and was able to spend the morning together! Riding on rides with someone other then mom and dad just makes the ride more thrilling! Baymax was another Annual Passholder meet and greet. 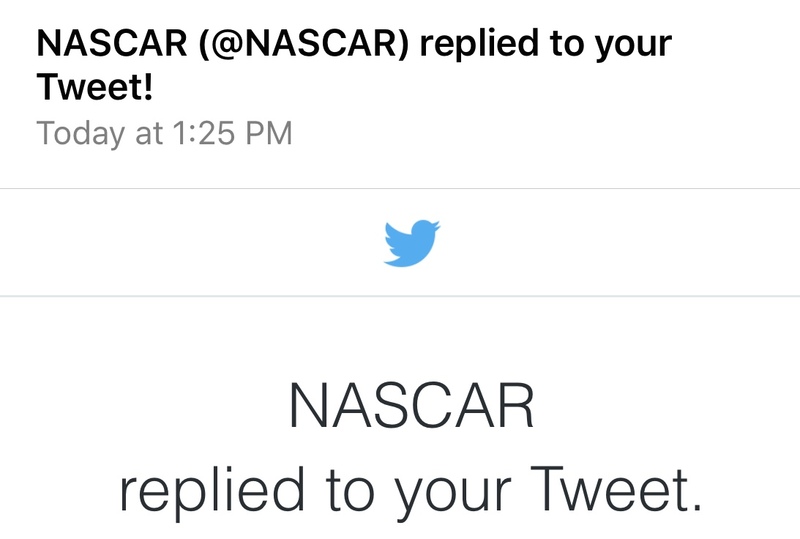 I was worried about this one. Baymax was so popular there was a line just to be able to strand in line to see him. So I decided I'd do that while Hailey and her dad went to the Frozen Sign a long and then had some snacks. Hailey just watched Big Hero 6 and was pretty excited for this rare opportunity. As you know there are not that many rides that Hailey can go on for one reason or another so character meet and greets are what she loves best! During DJ's dance party Hailey also made some friends with the dancers, and they were so great with her. They held her had so that she wouldn't fall since she was still a bit shaky on her own from her last ataxia episode, and then invited her to say goodnight to DJ in his garage! This was so special and we appreciated the invitation. Such a great way to end the night! 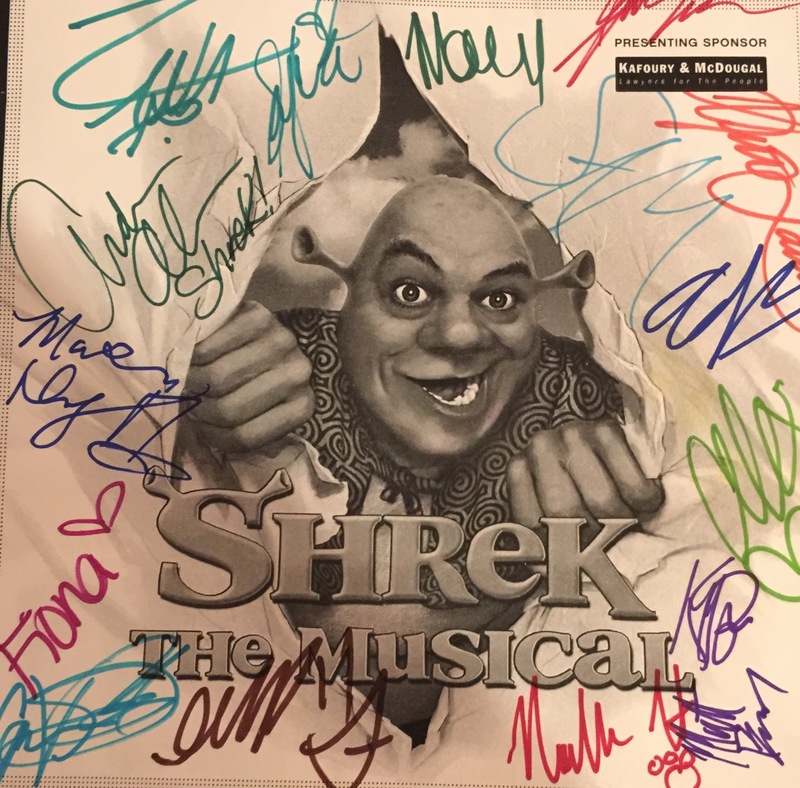 I always say that the cast members mean so much to us by these little gestures and then when I talk to them they thank me for letting them do these things for Hailey. They find such joy in being able to help a child smile like Hailey does. My sweet Hailey always making friends! She met another friend named Max while waiting for Anna and Elsa and she instantly had a connection with him! They watched the parade together and then rode Buzz Lightyear!! They ended the night by taking photos by the castle as it was lit up so beautifully! We appreciate Kaylee and Max for showing Hailey the extra love. Best Friends Forever!! The actual celebration on the Pacemaker came when we had Breakfast with Minnie and friends! Hailey was too excited. Instead of chasing down characters they come to your table! So great! When you ask Hailey where she wants to go to celebrate anything she will NEVER not say Disneyland and that's fine with me. She is so happy when she is there! It really does bring some magic to her. All the things others do for her mean the world to us! Happy 1 year Pacemaker anniversary!! Here is to many many more! P.s. We'll see you soon Disneyland! It was time for Hailey to get a haircut...according to her dad. I would personally always keep it super long. It is just easier to braid when it's long and one length, but Hailey agreed with her dad so we got a haircut. Not just a trim either! We chopped off 9 inches!!! Hailey had just read about Junie B Jones going to the beauty shop and she was thrilled she got to do something that Junie B got to do also. We made an appointment with our favorite beauty clinician and off we went! Hailey did a great job. She got her hair washed, and her head massaged and she enjoyed a bit of Curious George on the iPhone. Hailey being the chatterbox that she is went on and on about our last trip to Disneyland and then just had general chit chat! After it was all done she loved her new look! Thank you to Witney for always taking such good care of Hailey when she comes and sees you. I don't think it'll be another 2 years before we see you again though. I really like the length! I told Hailey that we were going to donate her hair to other kids that needed it. Hailey never says no to donating. We try to purge her toys every couple months and she never fights me. She always tells me about the kids who might get her toys. Love that she's good about it. We decided to donate to Children With Hair Loss and they thanked us on twitter for it! "Mom! I look like I'm 10!!!" Hailey went to the ophthalmologist in December and received a new prescription for her glasses and then we were asked to come back 4 weeks later. The doctor did not get the result she had wanted and told us that with Hailey's progressive disease her prescription isn't keeping up with her sight. She wants us to try and strengthen Hailey's "bad eye" by patching her "better" eye for about 2 months. It is only for 2 hours everyday and the one thing that makes it not so tough is that Hailey gets to pick from some pretty cute designs. The ones we bought her even have glitter! Who doesn't love glitter?! Hailey is such a go with the flow type of gal I'm so glad that she is a good sport and doesn't fight this new thing we just threw at her. We were able to find these on Amazon and we were able to use some Amazon gift cards that were given to us. We really appreciated those gift cards to be able to use during this surprise expense. Hailey's 1 year Pacemaker Anniversary!! I just added a banner to the far right of the blog that will take you straight to the Hugs for Hailey Etsy shop! I've added a few new super cute necklaces and we've also reduced the prices on some of our "classic" pieces!! Be sure to check them out before they GONE! Last time most of these were sold before I even posted about them!! These are our new Tsum Tsum Necklaces!! This past Christmas Hailey received 2 really fun gifts. From her Granny and Gramps (Her Great Grandparents) Hailey was given a gift card to Build a Bear and lunch date. I thought that instead of just holding on to the gift card and going back to Vegas that we would go to Build a Bear and take Granny and Gramps with us so that we could make some fun animals and some fun memories too! It worked out great! Even if it was a very cold, windy, wet day...I guess that's my part of the memory...LOL! Picking which animals is always the toughest part! Even the animals you see pictured above were not the ones we ended up with. 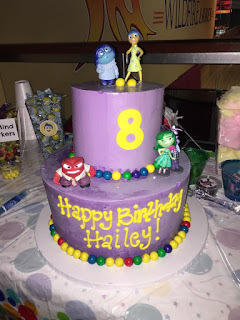 Ms. Hailey changed her mind MANY times before settling on the final product. She kept saying NEXT time I'll make those ones. When we finally picked the right animals to stuff we got right to it. This is Hailey's favorite part! You must wash and fluff your animals and then take them to the dressing room for clothing. After that is all done you take them to get their birth certificates. Daddy and Gramps walked around the mall and left the girls to the action. Hailey LOVES Build a Bear so this gift and memory was PERFECT! Thank you Granny and Gramps! 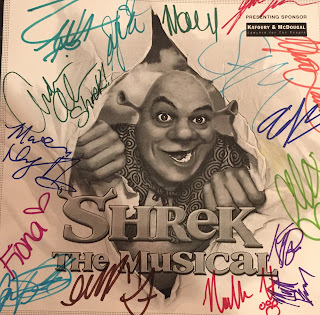 The gift Hailey got from her Grandma and Grandpa was to get to go see Shrek the Musical at the Children's Theater. I don't know too many detail since it was just a day for them and Hailey, but from the photos it looked like a lot of fun! Hailey was able to go backstage and meet the cast. They all signed Hailey's program and took photos with her! 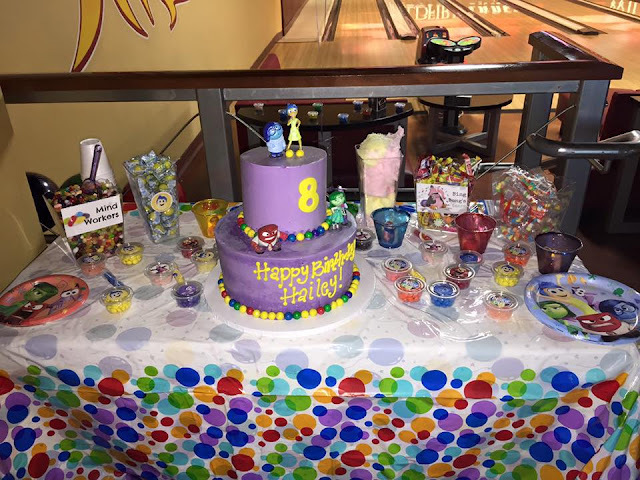 Hailey LOVED the pink and purple! Thanks grandma and grandpa. 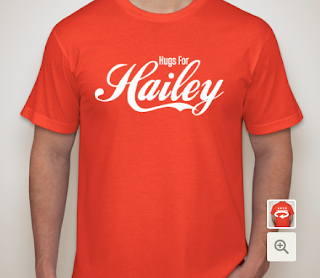 Giving Hailey a gift that was also a memory was such a great idea! She had lots of fun and spent some time with her grandparents and her great grandparents. I wanted to make sure that I blogged about it so that we can look back on it. We are all about making memories this year and this was a great way to start! You know me, I love an iron on!! We ended up having to leave our house so late in the day that we ended up arriving when it was already dark, but still wanting to head over to the park. Hailey said that she wanted to go on Heimlich's Chew-Chew-Train first so that's where we headed. No one was in line for the 20 second ride so we walked right on! Dad had to sit by himself, but Hailey assured him that next time he could sit by her and I'd sit by myself. We simply can't go to California Adventure and NOT say hello to our favorite Queen and Princess at the Character Close up! No matter how many times we see Anna and Elsa, Hailey still gets star struck! A special surprise was taking Hailey to see Santa Clause. Santa at Disneyland knows EVERYTHING. He knows your name, where you are from and even that you wrote him to tell him that you wanted Shopkins...Season 4 by the way! I love this photo of Hailey and Santa! The next morning was pretty exciting! First we headed on over to Disneyland and while walking to It's a Small World, we found Alice and the Mad Hatter! We've never seen the both of them together so we just had to stop for a photo and autograph! We were so lucky to have met up with some of our good friends and leukodystrophy family during our trip. Katelynn's Butterfly Kisses Family showed up to spend a few hours with us that we filled with as many rides as we could. I love being able to meet up with anyone from Hunter's Hope. Love this family, and how I wish we could have met Katelynn before she passed away. 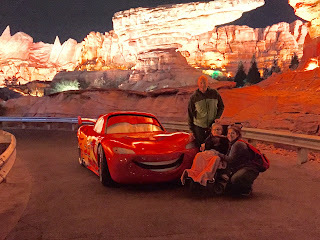 We had also planned to meet up with some of our new friends that took Hailey on a special adventure through Disneyland that was planned specifically for her. I knew it was going to so much fun for Hailey, but it ended up being a MAGICAL day for our girl! During the Christmas Parade something pretty awesome happened. Jessie from Toy Story was in the parade and found Hailey in the crowd. She stopped, jumped off of the Army man jeep, and came over to kiss Hailey on the forehead!! We've never been able to meet Jessie and this was such a fun surprise. Jessie went above and beyond and Hailey couldn't stop talking about how her and Jessie are best friends now! Last time we were at Disneyland we had ZERO luck in finding and taking a photo with Mickey Mouse. This time when we found Mickey he had 100% of Hailey's attention. It was so cute to see them interact and hug and when it came time for a photo Hailey insisted all her friends HAD to get in the picture too! This is a great group of people and they made Hailey's day one to remember for a long time! After our day at Disneyland with our wonderful friends we had to say goodnight but Hailey didn't want the party to end. She wanted to go over to cars land because she said she didn't get to see McQueen and Mater yet. So we headed on over! Hailey is NOT shy and I LOVE that about her. She likes to introduce herself, introduce mom, and introduce dad by telling everyone that he's 40! While in line to say good night to McQueen one of his Pit Crew members stopped to talk to Hailey. Hailey started to tell her all about the terrific day we had. Hailey even told her that she has to relax a bit and use her wheelchair because her legs where tired and showed her new friend her AFOs. That led to us explaining a bit about Hailey and then Hailey invited the pit crew to learn more about Leukodystrophy by inviting them all to her Facebook page or as Hailey says "her dot com"
The pit crew had said that McQueen is ready to go back to his garage to go to sleep for the night but if we wanted to we could all walk with him. Hailey was so excited and then even more thrilled when McQueens Pit crew presented Hailey with a mini stuffed McQueen of her own! This was such a neat opportunity for us to be able to get to take this photo. It's another of my favorite memories that we were given, by the awesome Disneyland Cast members we've met! We thanked them all, gave out some hugs and also some Hugs for Hailey bracelets as a thank you and a reminder to them of when they made a little girl extremely happy! The next day we had something very special and fun planned for Hailey. 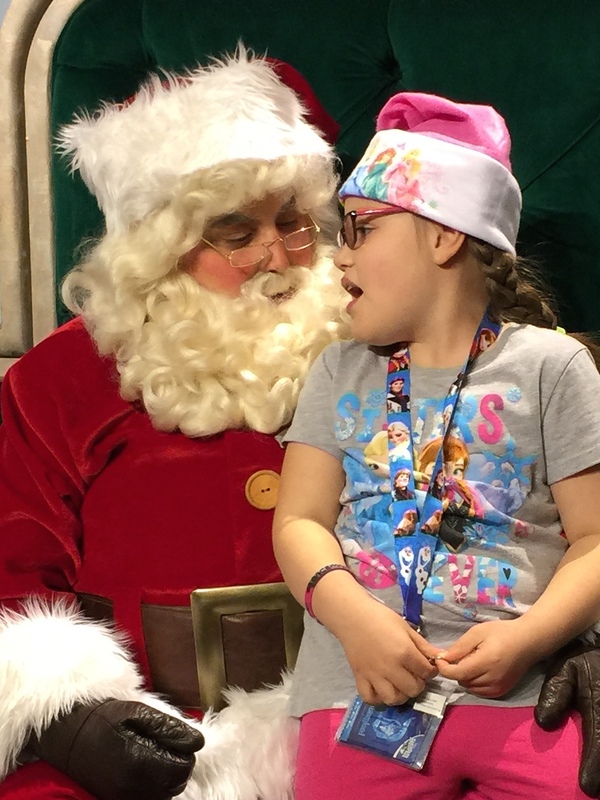 A very close friend of hers had given Hailey the gift of getting to go to the Bibbidi Bobbidi Boutique from Life With LOL : Lauren's Journey. We all miss Lauren so much that we all thought of her the whole time we were there. My eyes always had tears in them as Hailey was getting this fun treat. Thank you Lauren for your sweet gift! Hailey's fairy godmother in training asked if this was Hailey's first time at the boutique and Hailey automatically said that she came for her Make a Wish when she was 4! Her fairy godmother had asked if she had this much hair when she was 4? I have to give this fairy godmother props for being able to tame this wild thick mane of Hailey's!! Hailey could not stop smiling! She told everyone that her name is Hailey but she's dressed as Rapunzal! When we saw Rapunzal Hailey just had to say hello and show off her hair, nails, and dress to this fun princess! 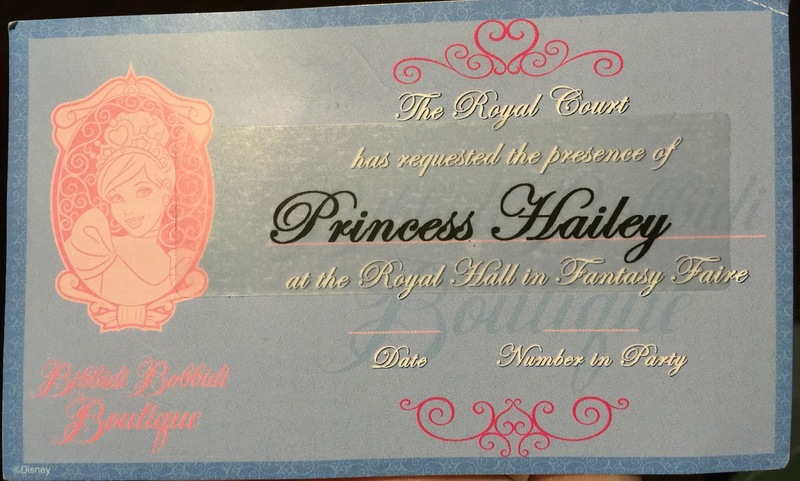 Then all of the sudden a cast member presented Hailey with this ticket! 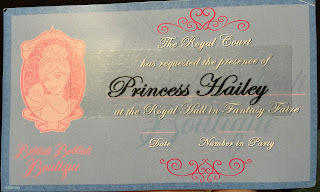 We were not planning on going to the Royal Hall to meet the other princesses but the ticket was given to us and invited us to go the the Fantasy Faire to do a private meet and greet! It was a wonderful surprise and again...tears from me. 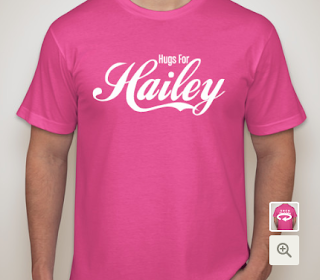 How thoughtful that someone would anonymously do this for Hailey! Thank you, who ever you are! After Hailey's royal treatment I had said that I wanted to check out the Viva Navidad parade over at California Adventure. I am SO glad that we did! We LOVED this mini parade. The music just made you want to dance along. Since music is a huge therapy for Hailey I knew that she'd love it too! Hailey loves to Samba! 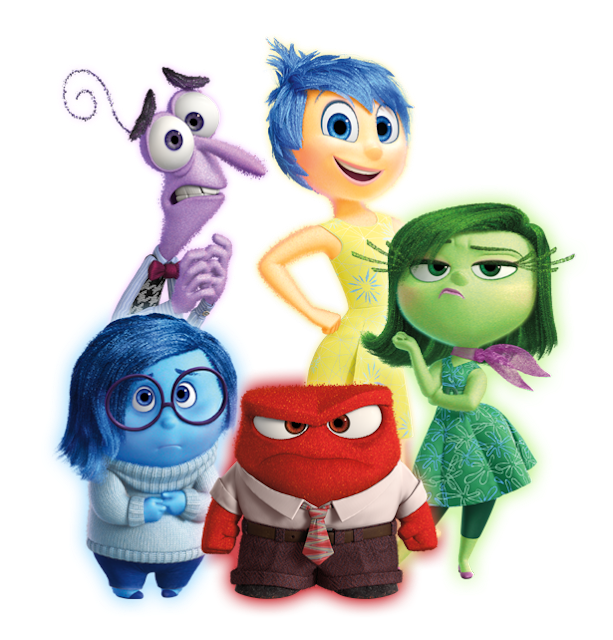 We were just in time for the Pixar Play Parade as well. If you guys remember, in October when we went to Mickey's Not So Scary Halloween we met awesome people at Monster's University. We gave one of our favorite MU Cheerleaders the heads up that Hailey would be in the crowd and where. When the MU Cheerleaders came near, Hailey started waving vigorously and low and behold we got the chance to say hello, shake some pom poms, and give a quick hug! It was so much fun for Hailey. She even told me that she LOVES all her new friends! It's such an incredibly special thing for Hailey to even just get a quick hello. 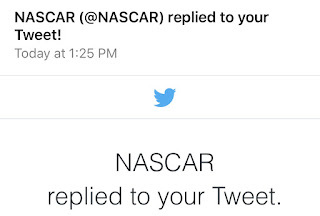 We appreciate the time people take for these little opportunities! I had no clue what that meant, and when I asked a cast member they didn't even know! (they were new) So after trying to get through the crowds with a child in a wheelchair we arrived at the spot, but we were too late! The drawing was gone! I messaged my sister on Instagram and tagged the artist saying that we tried but we were too late and I even took a picture of us where it was supposed to have been hidden. We were so bummed we weren't able to do this little favor for my sister. Then I get a message from Artist Abe inviting us to meet up with him so that he could give us another copy of the art that was hidden that we were looking for. He noticed that we really did try hard to get the print for Hailey's Aunt. We were so thankful for such a sweet offer. I ended up telling Hailey that we WON the scavenger hunt after all and she was all smiles. When we met up with Abe he asked us if we live near by...only about 300 miles away. We told him that we come down often for Hailey since it's her very favorite place to be. Hailey even told him that she likes drawing too and he invited her to get a drawing of her own sketched up. Abe was extremely generous with his time and with Hailey. He wasn't in a hurry and he took his time to listen to her and asked her questions, like what's her favorite ride. She squealed, "SMALL WORLD!!" I told him that's just how she says it...every time! She could go on that ride 10 times and be just as excited the 11th time. We really want to thank Abe for his time and generosity with Hailey. He even posted and tagged Hailey in a photo and helped share our story. It was pretty incredible and in the end my little sister got her print from her favorite artist because of Hailey! Thank you ABE!! We had an incredible 3 1/2 days at Disneyland and it was a wonderful Christmas gift for all of us! Every person we meet or have met becomes part of our memories and they are wonderful memories that I love sharing and blogging about so that we can look back on them. Thank you to all the Cast Members who go above and beyond. Thank you to our friend Kaylee who planned such a fun day with all her friends taking part. We loved the fun adventure that you had planned for Hailey! Thank you to Artist Abe for being wonderful to Hailey and sharing our journey! Thank you to the Mason family for giving us these opportunities to take Hailey to Disneyland. We appreciate everyone so much it doesn't seem like THANK YOU is enough. We love that each of you are a part of our story and are a part of our memories that we are making with Hailey!